it seems like I've been crazy busy lately! A lot of my school projects have been due these past few days, and I'm still working on others! This weekend we celebrated my husband's 24th birthday! It was pretty low-key, just how he likes it. I just bought this Essie nail polish in 'chinchilly'. This soft gray color is perfect for fall, and what a fun polish color name too! I love the way it turned out on my nails...so of course I had to post some pictures! What nail polish colors/designs are you loving this fall? 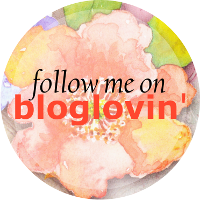 I've seen some really cute/creative ones in blogland lately!